If you have a passion for agriculture and enjoy working with people, then the Agricultural Education major may be a perfect fit for you! By linking the influences of agriculture and education, you will be prepared to instruct the next generation of agricultural leaders as well as consumers. There continues to be a high demand for agriculture teachers, and graduates of this program are also sought after for numerous positions outside of formal education. Students in this major have a wide variety of technical interests including animal agriculture, science, plant agriculture, agricultural mechanics, agribusiness, and natural resources. Within the degree, you also can choose from one of three emphasis areas to meet your career goals: teaching, communications or leadership. 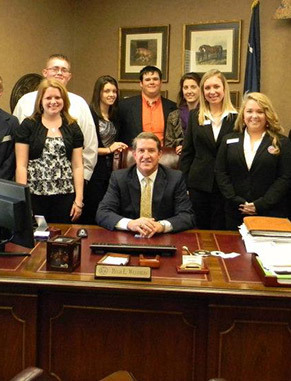 Most of our students are heavily involved in the collegiate FFA or 4-H chapters. 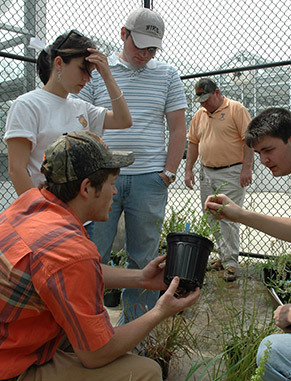 Agricultural education is the most diverse agricultural degree available covering multiple disciplines. Each student is required to spend a semester in a supervised student teaching experience or an internship. Ag Ed majors take course work in animal science, horticulture, forestry, agricultural mechanics and agribusiness. In order to be successful in any of the career opportunities that lead from the agricultural education degree, graduates must have gained a broad knowledge of agriculture. 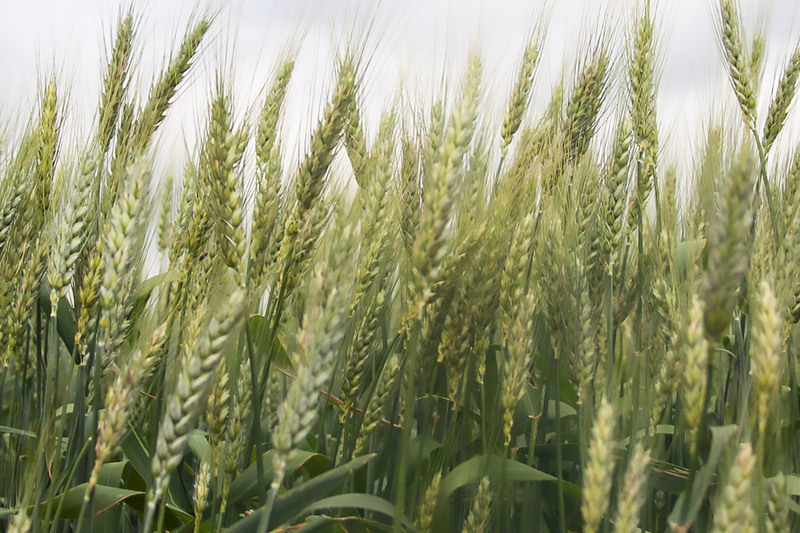 At Clemson, you’ll gain understandings from the science behind genetically modified soybeans, to the political challenges of water management, and on to the complexities of agricultural marketing and commodities. While the curriculum is balanced to expose you to the many facets of agriculture and natural resources, there are also opportunities to select course work specific to your interests. The teaching concentration is for students who wish to pursue teacher certification for working in secondary education. You must complete a supervised student teaching experience as well as the Praxis examination required by the S.C. Department of Education. The communication concentration is a great fit for anyone who is interested in spreading the message about agriculture through positions such as public relations or marketing. Other career fields include sales, program development or journalism. The leadership concentration trains you to become a leader, trendsetter and innovator for the agricultural industry. Graduates may find themselves in positions with agricultural corporations, government agencies or nonprofit organizations. With agriculture playing the role as the No. 1 industry in South Carolina, there are many opportunities to feel its impact within just a few short steps of the classroom. Our Ag Ed program places an emphasis on learning through doing and requires all students to complete an internship or student teaching semester. Depending on the selected concentration, each student is required to complete one semester of experiential learning. This semester is fundamental for putting into practice the theories and ideas learned through the program. Each year, the Clemson Collegiate FFA Chapter sends some members to the National FFA Convention. Programming for collegiate members allows for professional development opportunities and career-focused networking. 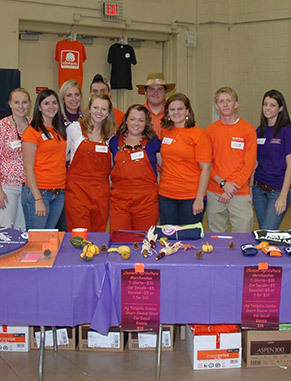 Clemson's Collegiate FFA Chapter provides members professionally relevant workshops, speakers and networking. They also support the S.C. FFA Association through activities such as career development events. 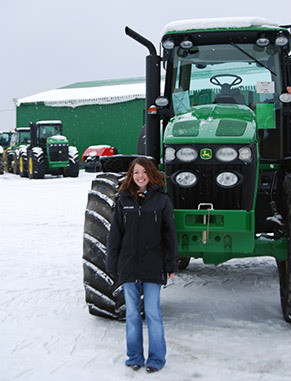 You'll regularly be required to get out and see firsthand where our graduates are in industry and how agriculture takes product from the field or forest to the table or retail store. 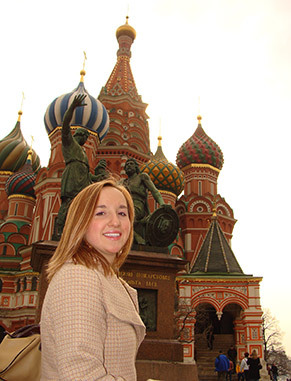 Each year, agricultural education students have the chance to travel to Russia and enroll in a semester of agricultural communications course work while gaining a unique cultural experience.